After reaching more than 66,000 readers in Spanish, now Mark of Odin saga’s first book is available in English. Are you ready to accept the challenge and awake to your real fate? The year is 2012, Luis Oden is about to graduate as an Aerospace Engineer and he expects to be chosen to participate in the ambitious Project Hermes, to develop a new generation of space shuttles in the new European Aerospace Center of Seville, Spain. His life is seemingly perfect until he begins to suffer recurring nightmares where mighty beasts, that seem to come from the Norse mythology, assault and torture him urging him to wake up. But wake up to what? Meanwhile, Jack Preston, a Lieutenant Colonel from the USAF and responsible for the tests of the X-56 Phoenix, a prototype of an orbital superiority combat jet fighter, is sent together with his crew to Seville to review the development of the Hermes program. There he will meet Luis when they are chosen to star the parachuting exhibition for the Columbus Day. Both Luis and Preston ignore it, but a dark menace is coming and only their choices will be able to give a chance to humanity to survive. More than 66,000 readers have already joined the #MarkofOdin ranks. Do you dare to join? You can get Mark of Odin: The Awakening printed edition at Amazon.com. 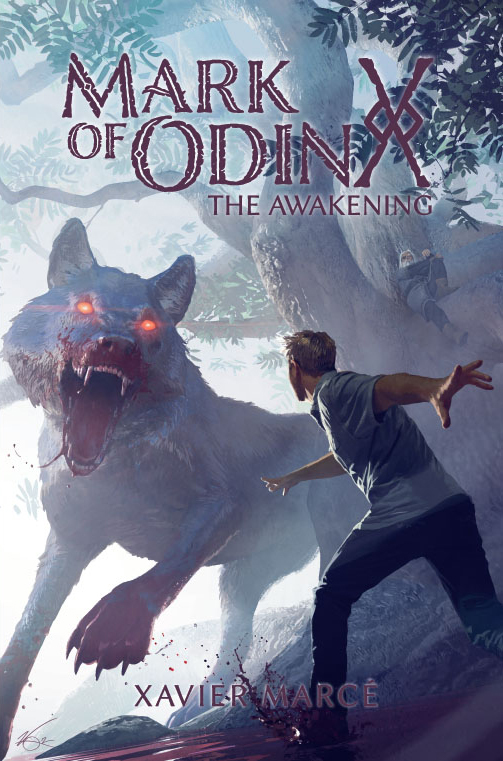 Once you have finished reading Mark of Odin: The Awakening if you have fallen in love with the story, want to have more stuff and support us go to our site at markofodin(dot)com and purchase the Online Pass Level 1 – Mark of Odin: The Awakening. Includes dozens of stories that explain what happens during the time that lasts between the end of the book and the start of Mark of Odin: Road to Valhalla (coming soon!). Are you ready to join the #MarkedbyOdin?